A cornerstone of Protestant salvation teaching is based on the visions of St. John in the Book of Revelations. While this is a great source for horror writers, it is more potent fodder still for Protestant apologetics who use its vague and surrealistic symbolism to justify just about any point of view they care to opine. During my journey to becoming a Catholic, this topic was merely touched upon and only to the point that 666 was the number for Nero. Interesting enough – but what about everything else? The seven seals, the pit, the battle between Satan and God? All steeped and surrounded by mysticism and obfuscating language that doesn’t quite rise to prose or poetry. One would think that a Revelation from God in such an inspired writing and on such an important topic would be more direct and clear. It is a function of the Church to answer such questions. 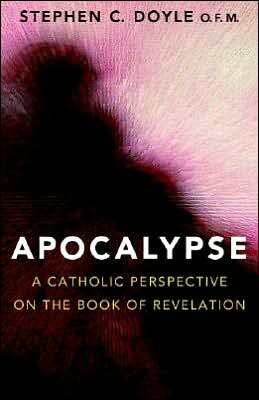 So I obtained a copy of Apocalypse : A Catholic Perspective on the Book of Revelation on the subject that has the imprimatur of Church, which should provide some insight. I’ll posts updates here on what I learn. Today marks the first time I was able to ride the 40 miles from my apartment in Sugar Land to my parking garage at HP without having to put my foot down. There were a couple of “creeping” moments, but I never actually stopped. Go me. Back Online and in Texas! My attempt to auto-update wordpress just prior to my departure from Bloomberg FUBAR’d my website – and I’ve only just had the time to bring it back up. Also, I’m back at Compaq (now HP) in Houston, working pretty much in my old group. More to come. Many thanks to Jean Bovet of BEA systems for giving this to the world.